Have you been searching around for the perfect wall décor to complete the look of your living room? Maybe you have a blank wall in your bedroom that is in need of a little color and character. 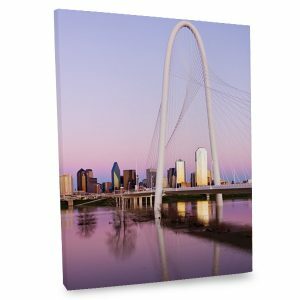 Our canvas photo art prints display beautiful professionally taken photographs featuring everything from nature scenes to cityscapes that are sure to add interest to your home’s unique style! Dress up your home with stunning photos whether your décor is modern or traditional. We have something for everyone in a variety of sizes to fit in with your current wall décor arrangements. Since they include built-in hanging hardware, you can instantly add color and personality to any room in your home as soon as your canvas is delivered in the mail. Maybe your home has a cozy, rustic look and you want to add a natural flair to your décor. Our “Natural Falls” canvas would be perfect! With its tranquil feel and vivid colors, you can’t go wrong and it’s sure to impress family, friends and houseguests alike. 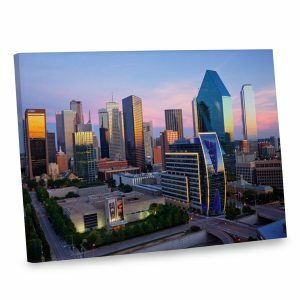 If you’re going for a chic, urban feel, we have a variety of city skyline canvas prints that are guaranteed to look great no matter where you hang them. 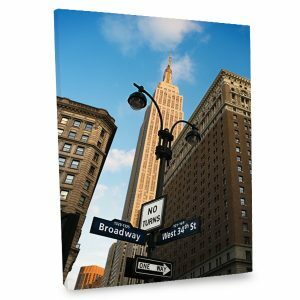 Instantly give any drab wall a stunning view with our “Broadway and West 34th” canvas to incorporate the excitement of the Big Apple into your décor. 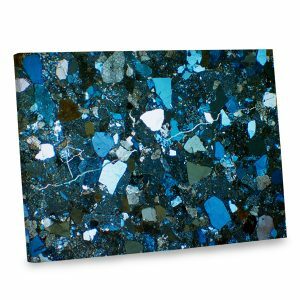 If you’re looking for something a little more on the modern side, our “Iridescent and Turquoise Blush” print will add a striking array of colors and hues to any modern themed living area. 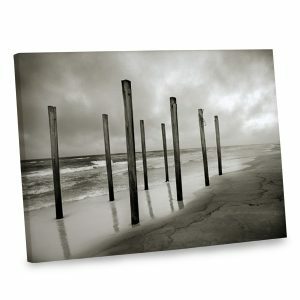 With so many options to choose from, you are sure to find a canvas photo art print that compliments your style. No matter your decorating preference, just choose a print you like and select from multiple sizes to add interest to any wall around the house in a snap! Maybe you are looking for something special for Grandma’s birthday or you want to find a unique gift for Dad on Father’s Day. Our canvas photo wall art selection will allow you to find a stunning gift that your loved ones are sure to cherish. Check out our variety of prints and find something special for your friend or family member that fits their distinctive style! Grandma would love our “Peacock” canvas décor print with its fabulous colors and striking hues. Find a size just right for her living room and present it to her for a birthday gift she won’t soon forget. 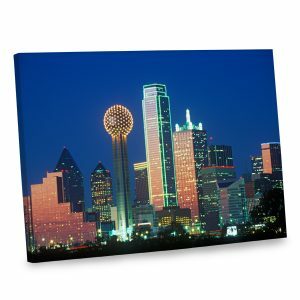 If you’re trying to find something for Dad, why not a canvas photo to brighten up his home office? 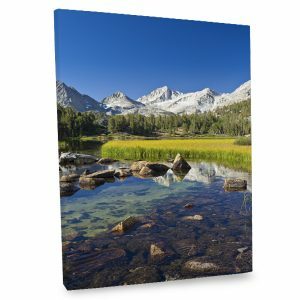 Our “Mountain Stream” canvas art will add a feeling of relaxation to his office sanctuary that he’s sure to enjoy for years to come. 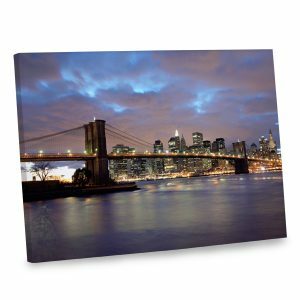 No matter who’s on your shopping list, we have a canvas photo print that’s just right for them. 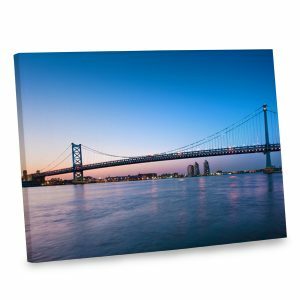 Everyone loves a stunning photo, so why not select a canvas print to brighten up their day with bright colors and character for the perfect addition to their home décor. 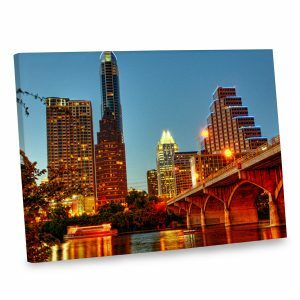 In addition to sprucing up your home décor, our canvas photos are great for adding interest to the workplace. 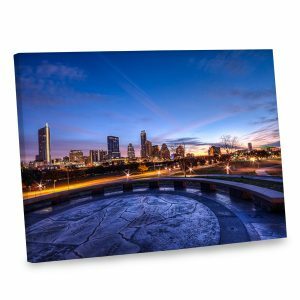 Each photograph is printed on the best quality canvas with gallery wrapped edges for a perfect addition to any drab wall at the office, or even your cubicle. 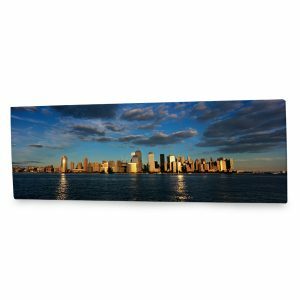 Add a relaxing flair to your workspace with one of our nature themed canvas photos or instantly add excitement to your office with one of our many city skyline prints. With a variety of choices, you are sure to find a print that everyone will love. Incorporate color and character into your office decor and daily routine with our artist canvas photo art. With so many options to choose from and wide selection of canvas sizes, our canvas print art is guaranteed to spice up your home instantly. 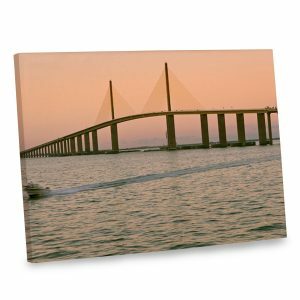 Not only do they arrive ready to hang, but each photo is printed on the highest quality canvas with wrapped edges for an elegant gallery flair that is sure to enrich your home and daily routine. 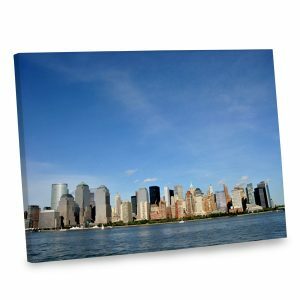 Whether you prefer urban skylines, abstracts or beach scenes, we have a canvas just right for you!